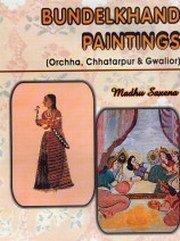 The present work is a valuable record of research done on the rare wall paintings of Bundelkhand region. The study conducted under the able guidance of internationally recognized late Padmashree Dr. V.S. Wakankar Depicts the intricacies of the paintings of Orchha, Jaina temples of Chhattarpur, Datia and Gwalior. The paintings containing a rich treasure of Jain Tirthankaras and Hindu deities speak a lot about the whole-hearted love and affection of Jain and Hindu communities and their influence on general public. As the book is the result of thorough research, the material incorporated in it has much valuable information for the scholars and students in this field. The book is copiously illustrated with colour plates, and line drawings making it the most comprehensive coverage of the Bundelkhand art and its times.